Powerful one-speed motor with flexible fan blades. Thumb activated pump trigger with comfort grip. 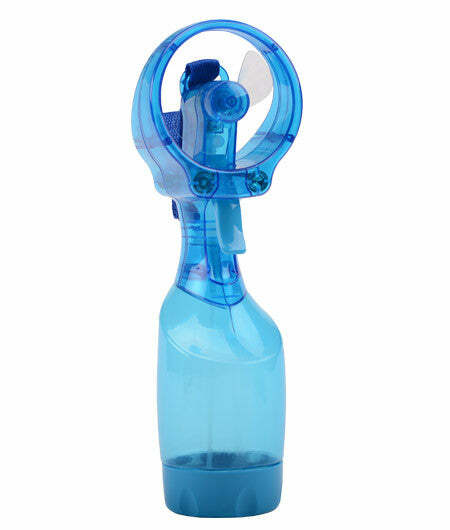 Extra large reservior holds more than 1,000 mists; more capacity than the Deluxe Misting fan. Large opening to fill with water and ice.